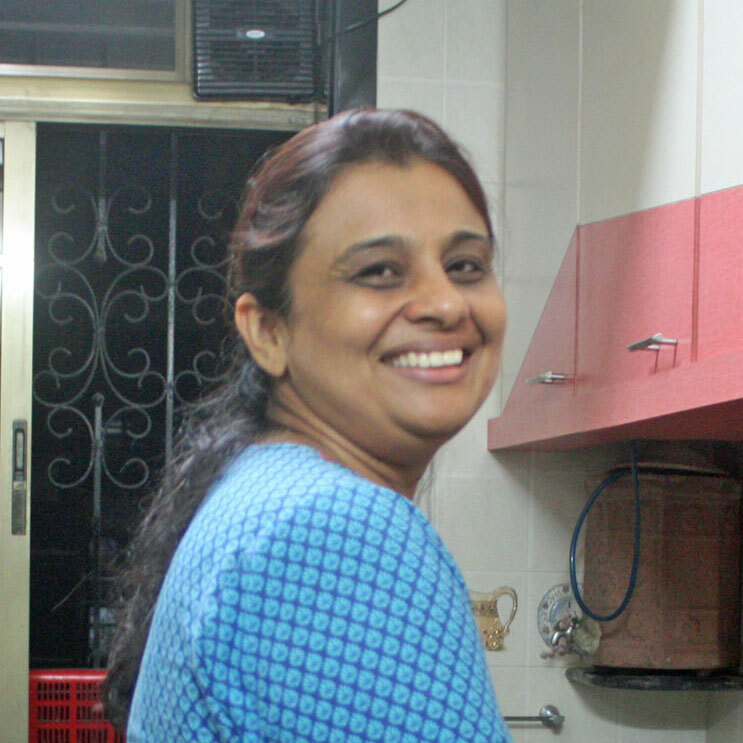 Zahabia is a doting wife and mother of two daughters, Zahra and Zabeen; they live in a warm and cozy apartment in South Mumbai along with their dad, Uncle Zuzer. They are a close-knit family and food is everyone’s weakness! 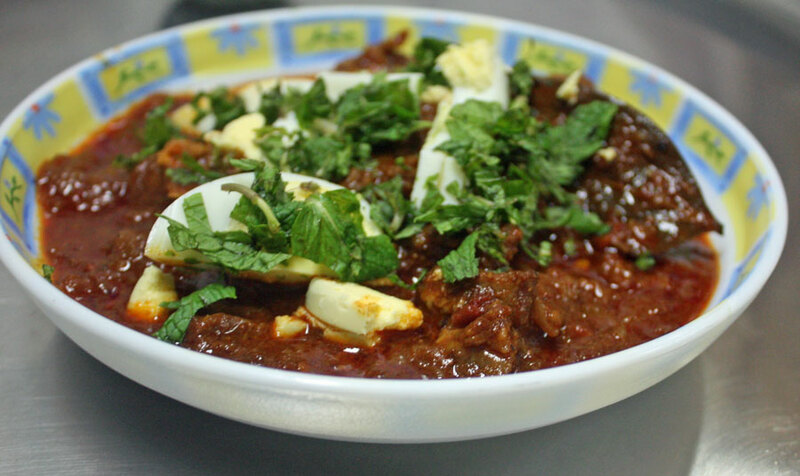 Zahabia is a housewife and a passionate cook who whips up delicious food that is deceptively simple to prepare. 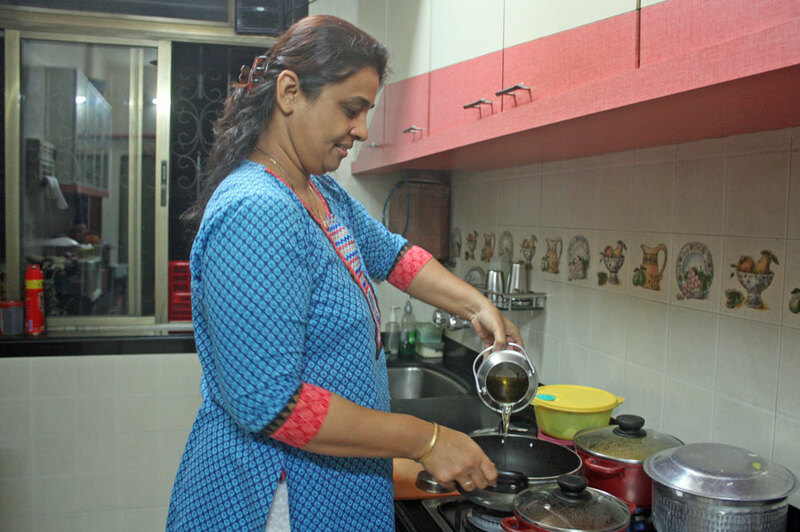 Years of experimenting in the kitchen have made her a culinary expert who can prepare almost anything. She loves to try authentic food while traveling and then tinker to recreate the dishes in her home kitchen. When she’s not cooking, Zahabia expresses her creativity through crochet, fabric painting, and glass painting. You will see her crafts throughout the home. 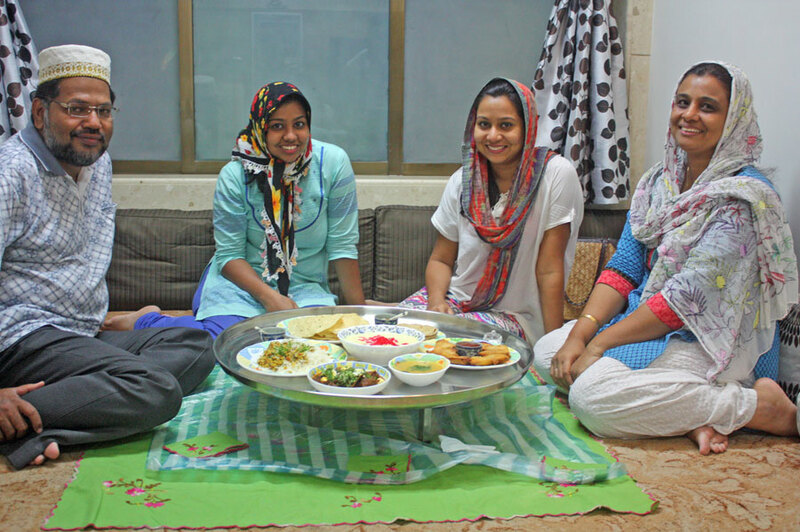 The Bohri Muslims migrated from Yemen into Gujarat and then to other parts of India. 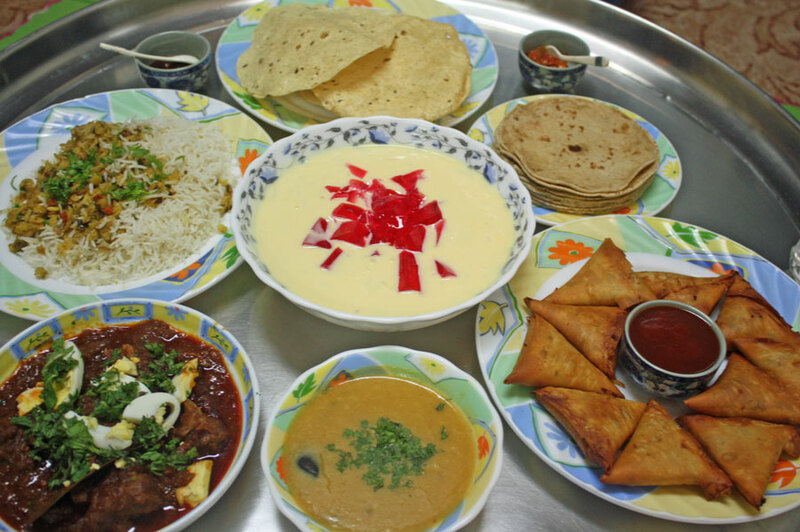 As such, their cuisine has Middle Eastern and Gujarati influences. In-home meal: (2-6 guests) Zahabia will greet you at the door and welcome you into her apartment. As soon as you enter you will notice that they have minimal furniture and, like many Bohri families, they relax and dine on while seated on the floor. As you enjoy your welcome drink, Zahabia will tell you about the Bohri history and culture. They are firm believers in the maxim: “The family that eats together stays together” and hence you will dine with the family on a communal stainless steel platter called a thaal, which will be laid out on the floor. Once you are seated around the thaal, a family member will pass a basin of water for everyone to wash his or her hands. The meal begins with the tasting of salt, which is meant to cleanse the palate. In Bohri homes, sweets are served at the start of the meal and so you might begin with Zahabia’s kalamra (a sweet dish made of yogurt and rice, garnished with pomegranate). 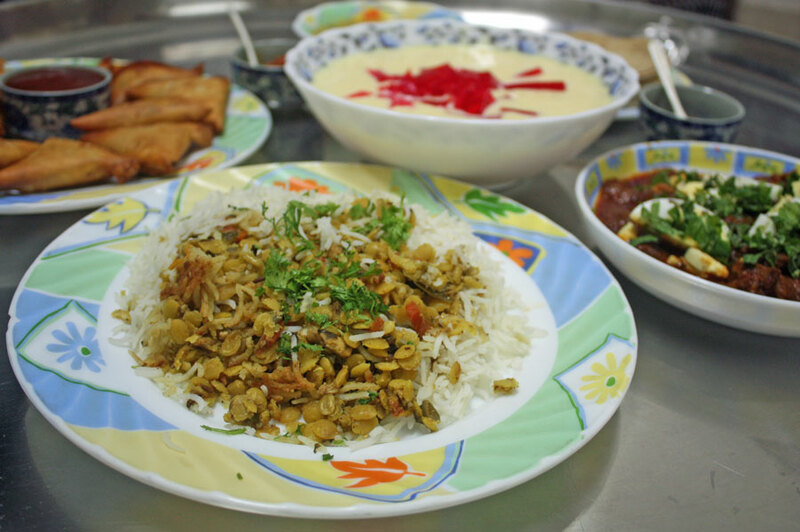 The menu might include some of Zahabia’s specialties like daal chawal palidu (a rice and lentil dish that is essential to all Bhora celebrations), mutton or chicken biryani, kheema khichdi (minced meat pulao), lagan ya seekh (layered minced meat topped with eggs), kheema na samosa (minced meat samosas), mutton kari chawal (spiced coconut milk based stew served with fragrant basmati rice studded with peas). Notes: Eating from the thaal is a communal activity and is considered to be a symbol of unity, equality and sharing. You will be seated on the floor around the thaal. Each dish will be served individually as a separate course and will be placed in the center of the thaal. Each diner will serve him or herself. Take your portion and place it in the section of the thaal that is in front of you. The family has a “no waste” policy, so diners are asked to only take as much as you can eat. Please note that this home has no furniture and you will relax and dine seated on cushions on the floor. A really fun afternoon with gracious and lovely hosts. I was browsing randomly for things to do in the city when I stumbled on Traveling Spoon. I was curious and checked it out. Amazing concept. Went ahead and booked a lunch with a lovely Bohri family - Mrs. Zahabia and family. The experience was what we expected and a lot more. Not just the food which was beyond amazing, but the interesting stories, culture and traditions of the host family ensured that it was an unforgettable experience. Our favourite dish served was the tandoori chicken curry!